I’ve never seen such a big Kong. 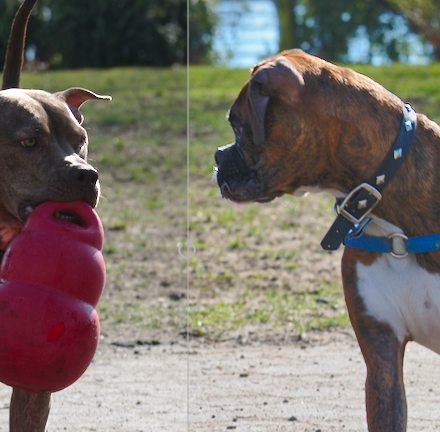 The Boxer had been stealing other dogs balls and toys and now he wanted to steal the Kong from the other dog. This Pit Bull wasn’t going to let it happen. 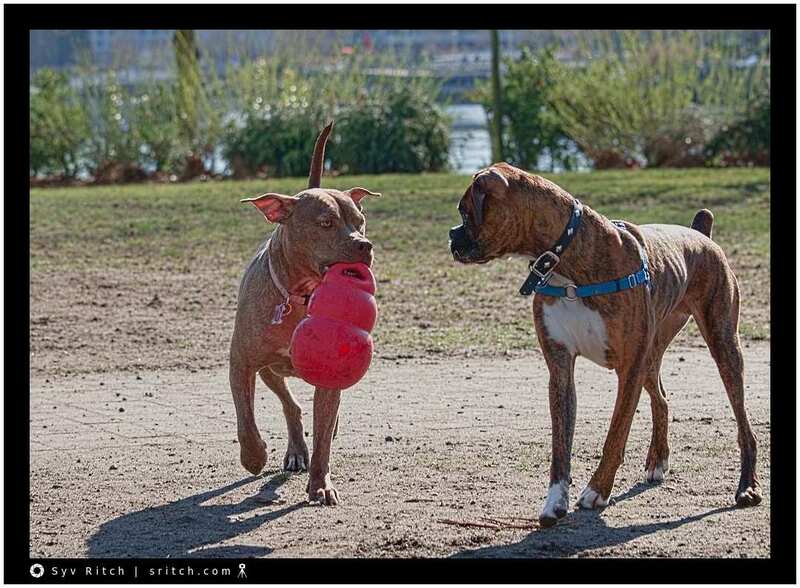 The owner of the Boxer (I’m not sure that she was the owner or someone just looking after him) was afraid of the Boxer and the Boxer was doing whatever he wanted. I left at that point because some other dog was harassing my dog and I couldn’t make photos and protect my dog at the same time. Please adjust your monitor's brightness and contrast until you see all the 15 shades from black to white. © 2009 — 2019 Syv Ritch — https://www.sritch.com · All text and photos are the sole property, through copyrights, of sritch.com and db Networks Ltd unless otherwise noted. All opinions expressed on this website are the personal opinions of Syv Ritch. They do not represent the opinion of anybody else or of any other company.